Radio waves have existed on Earth for all eternity – they are everywhere around us. The Sun is perhaps the biggest source of radio waves there is. Earth has received radio waves in the form of sunlight every single day throughout its history. But now we have also created technology and devices that produce radio waves. Initially, these human-made radio waves were used mostly for medical science and engineering. But now they have become widespread and are almost everywhere, including our households. Radio waves make the technology possible which provides convenience to our lives daily. Our mobile phones, headset, gadgets, and multiple devices rely on using radio waves to work. However, if anything is used excessively, it is possible to cause some harm, over time. 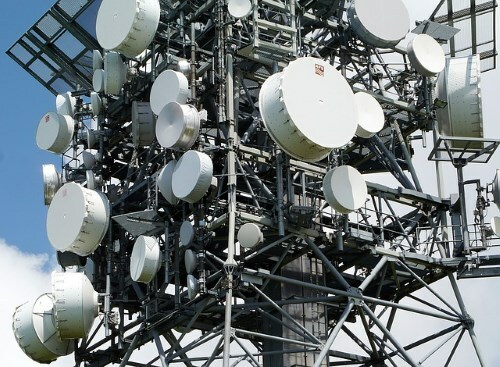 As radio waves have increased in popularity, and our dependence on technology that uses them has skyrocketed, some may start to wonder are radio waves harmful? People believe and argue both sides of the spectrum passionately and with conviction. However, from existing evidence and research there doesn’t appear to be a definitive answer either way. Let’s explore the topic a little further to create an understanding of the good and bad sides of radio waves. Most radio waves fall into the invisible spectrum. So they remained unnoticed until James Maxwell predicted the existence of radio waves during the late nineteenth century. It then led Heinrich Hertz to finally generate and receive radio waves in 1886. This opened a new path for scientists to experiment and explore radio waves further which has led to many inventions currently used in our day to day lives. After a few years of research, scientists started naming and classifying radio waves according to the difference in their wavelengths or velocity. But at that time it was never considered whether radio waves could be dangerous for the human race or not. It has been said that large doses of radio waves can cause cancer, leukemia as well as other disorders. Some people have also claimed that overhead power cables near their homes which causes a very low-frequency field also can harm their health. Although, there is no reliable evidence which proves that this has occurred. Radio waves contain the lowest frequencies in the electromagnetic spectrum. Which means they are much safer (if not harmless) than other kinds of waves and there are handful (see the below chart). Can Radio Waves Cause Cancer? There are concerns that radio waves and cell phones may cause cancer. They have been around since the 1990s, but over time their use has increased significantly. It is common for some people to spend over five hours on their phone per day generating large amounts of waves which travel in and out of their phone. The way cell phones work is to send signals to nearby cell towers (and receive them) by using RF waves, which are electromagnetic energy. It is somewhere between FM radio waves and microwaves. 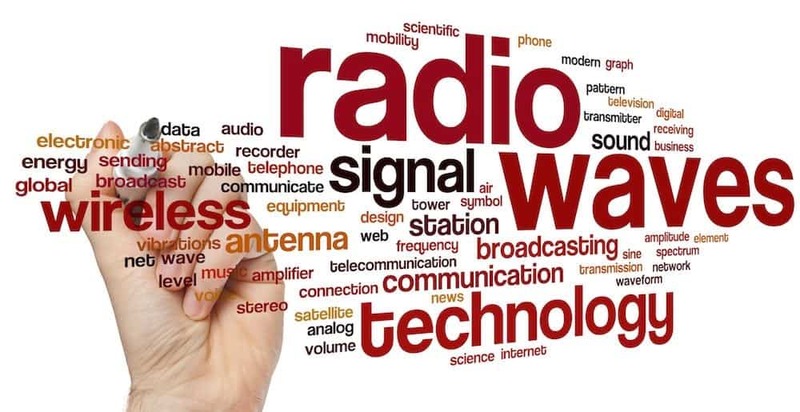 RF waves are a form of non-ionizing radiation, which means that they don’t directly have enough energy to be able to cause cancer by damaging DNA inside cells. It is true that stronger ionizing types of radiation like gamma rays, x-rays, and ultraviolet (UV) light can break chemical bonds in DNA, and may hypothetically cause cancer. UVA and UVB ultraviolet radio waves present in sunlight are found to cause skin burns and harm skin cells because the ozone layer is not strong enough to block these rays anymore. Yet, radio waves are safe in comparison. RF waves, at very high levels, can heat body tissues. However, the energy levels given off by a cell phone is not as high and is unable to raise body temperature. Can radio waves hurt you? Ionizing radio waves like x-rays and gamma-rays have the potential to cause severe damage. However, it is generally only when excessive exposure occurs that damage to our DNA and cells will occur. Ionizing radio waves have the potential to cause sickness, burns, or cancer. Non-ionizing radio waves don’t carry enough energy in their photons to ionize or break the atoms and cells. Radio waves which are emitted by mobile phones have lower energy radiation which can’t cause damage to our cells. Infrared, visible light and microwaves also produce lower energy radiation and are entirely safe. For more practical and visual representation of which radio waves are considered ionizing and non-ionizing, please refer to the chart below. Are radio waves harmful or helpful? Everything has good and bad aspects. So, it’s important to weigh up the benefits, as well as any associated risks. 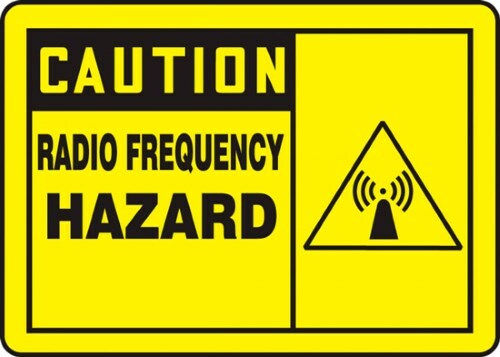 As to whether radio waves are harmful or helpful, there currently is no reliant research which indicates they are harmful and people have done a lot of work to prove it one way or another. At the same time, if they were, you would have to make some drastic changes to your lifestyle. Imagine a life without all your devices you use daily that relies on radio waves to enhance your life. It would be like going back in time and would set back the process of the human race by decades. There are, however, some waves which are harmful to us. For example, sunlight consists of a wide range of radio waves. Sunlight is essential to maintain and support life on earth. But, at the same time, it can be harmful to our health. We can use many sprays, creams, and lotions like sunblocks to help protect against the sun if exposed for long periods. We do that to keep our skin and body safe from adverse effects of excessive contact with sunlight that might harm our cells if we keep exposing our bodies to the sun. It’s proven that too much-unprotected exposure to the sun is harmful. But it’s not the case for using radio waves which are ionizing and created by humans. Instead, they are very helpful in developing the world and advancing and progressing technology. Electromagnetic waves used by radios were never created to harm humans and they don’t. Instead, they are used as a medium to reduce the usage of wires, as well as to improve communication and convenience between devices. All in all – if you were searching for the best radio for your tabletop and was worried about the effect of radio waves – I hope we have managed to shed some light on this concern for you. PreviousAre Headphones Bad For You?